I fell in a hole. These things happen here. There are lots of holes in the ground. My street just got a new brick sidewalk. It looks great but there are still holes. Courtesy of my friend Corbin. I was approaching my house with some friends, they were walking ahead, and I could see our dog inside the gate and started to wave. Then all of a sudden I’m on the ground with a scraped knee and a bruised ego. Falling in holes is a peace corps right of passage – one I went through last year when I fell into a drainage ditch. A clumsy person accepts these things and moves on, Peace Corps is about resilience. We were walking home from a post-dinner walk to the castle. The typically peaceful walk to the castle was quite a different experience. 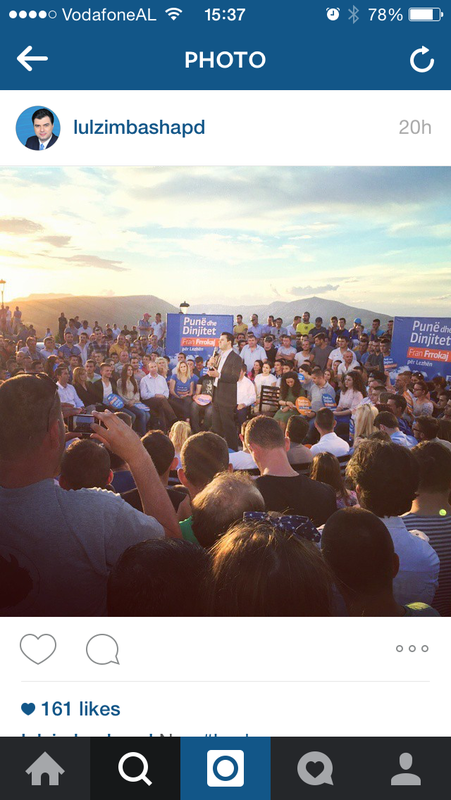 The usual peaceful background from the castle also makes for a great backdrop for a political rally. I want to post a reminder that as a Peace Corps volunteer I am jo politikë. I do not have a say or an opinion on politics in Albania. Lulzim Basha from the Albania Democratic Party speaks at the Lezha Castle. 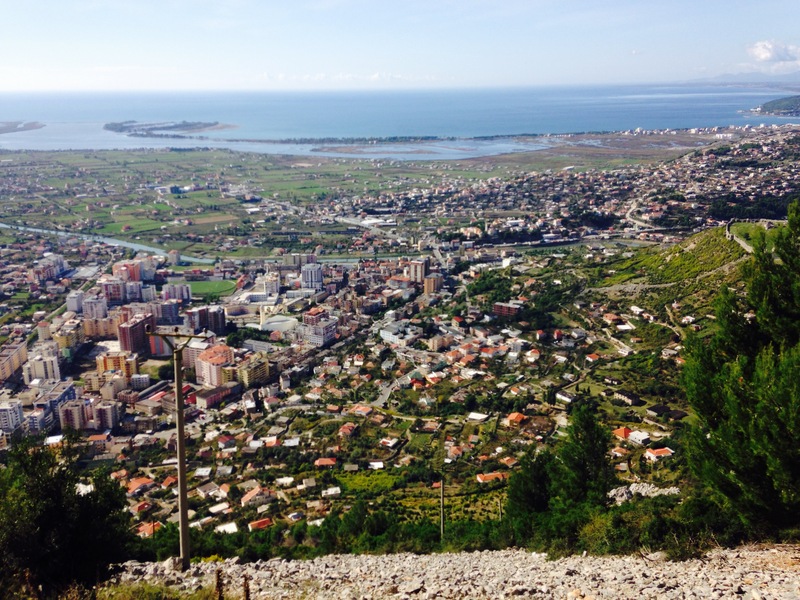 Albania is jumping into full election mode as local elections are in a month [I started writing this in May], on June 21. It is the first election after territorial reform and the shape of cities have been changed. It will be interesting to see how it all plays out. From what I know about Lezhe is that the current mayor is LSI which is in coalition in Socialist party. The city tends to be more LSI/Socialist aligned while the region overall is more Democratic, another major political party. While the city is the largest population center there are more people that live in villages outside the city. With territorial reform, Lezhe is now a larger city which includes the surrounding villages. Prime Minister Edi Rama spoke at a political rally in Lezhe the week before elections. The election is now only three days away and the political fever has been increasing. The largest parties LSI/Socialists and the Democratic Party both held rallies in Lezhe this week. 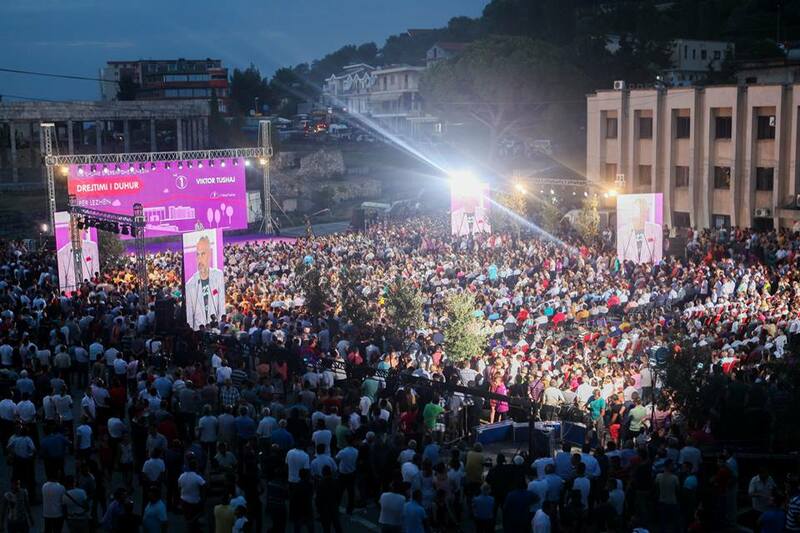 Both parties’ top brass, Edi Rama & Lulzim Basha, were both in town for the rallies. I am planning to watch the election unfold from my balcony this Sunday and enjoy the view of sea. The city of Lezhe and the nearby coast.